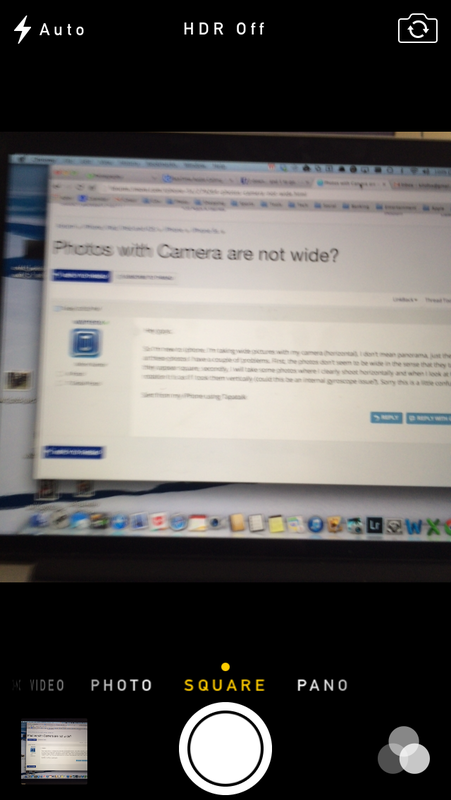 Re: Photos with Camera are not wide? Your camera can take square pictures. Look at the setting right above the shutter button. You can change it by swiping left or right. My pics are definitely not square, but also once taken they don't take up the entire iPhone screen and never have. Correct. They are still in a 4:3 ratio and when apple when to the 4" 16:9 ration with the 5 the photo size stayed a traditional 4:3.